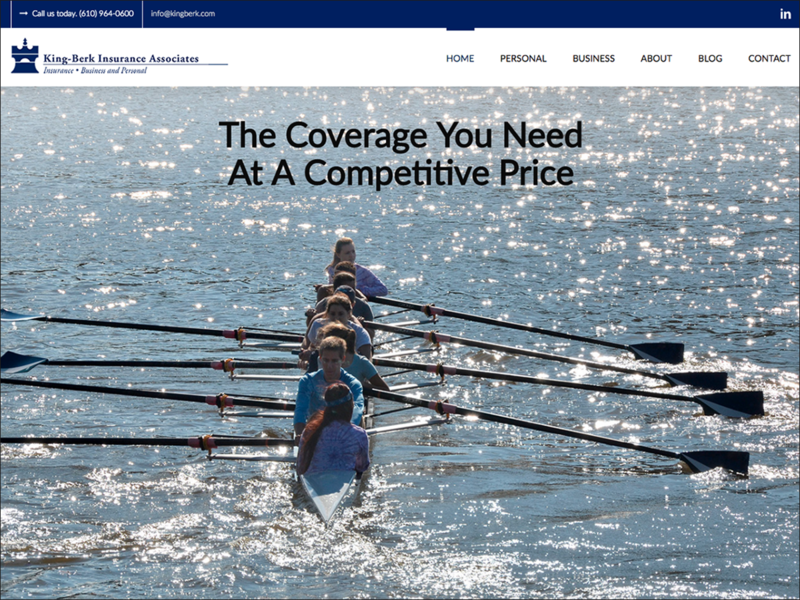 King-Berk Insurance Associates wanted a new insurance website design. It was no accident that the new website is user-friendly experience and easy to navigate. King-Berk Insurance Associates’ focus was to have a presence on Philadelphia’s Main Line as well as Philadelphia Center City. Sprinkled throughout the site are images of Philadelphia suburbs and downtown Philly. The benefits of putting pictures on every page, make sure people stop and read the copy. Also, The pictures took the risk out of site visitors leaving the site by making a great first impression. Stop by and visit King-Berk website design.